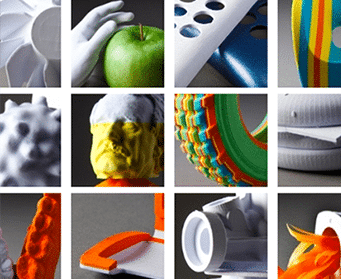 Mcor Technologies, is an innovative manufacturer of the world’s first, paper based 3D printers. They have been the talk of the industry since launching in 2006 and the excitement they have generated continues with their new full color 3D printer. This is their story and they want to reach the masses with this news. From their early beginnings we have worked to develop their brand into a recognizable 21xdesign created an identity that was implemented across a wide variety of materials. Everything from printed material to exhibition design, to the website, online and off-line marketing, and to the machine itself. 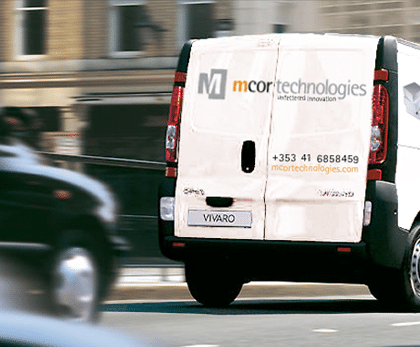 We created Mcor's brand identity which has been implemented across stationary, environmental signage, Mcor vehicles, T-shirts and sundry marketing materials, as well as various dimensional implementations on the actual machines. We also designed and developed Mcor's website, which currently utilizes WordPress as a CMS. Over the years we have created various videos that they have use throughout their online presence. 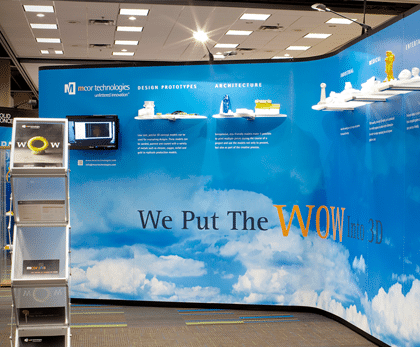 In addition to the above materials we have also created many exhibit designs for Mcor that have been used both in Europe and in the US. The above projects showcase some of the Mcor materials we have created. Click on the individual images to read more detail about each project.